Theoretical consideration and observations by other authors indicate that small asteroids are capable of maintaining irregular shapes, notably the shape of a cigar and even of a dumb-bell. 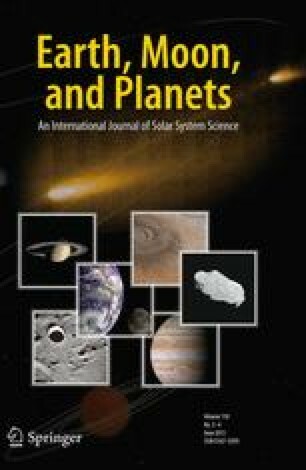 This paper presents a model which describes the changes in the shape of an asteroid due to collisions of smaller objects (meteoroids) with the asteroid. The following assumptions must be approximately valid: (1) collisions are not uncommon; (2) collisions between a (relatively) large asteroid and small objects (meteroids) are more common than collisions between asteroids; (3) the cumulative probability of the collision of a meteoroid on a point on the surface of an asteroid is proportional to the zenith angle of the horizon as seen by that point; (4) obliquities of all but the major asteroids are random, so that there is not a preferred side on which collisions occur; (5) a considerable percentage of collision ejecta achieves escape velocity; and (6) the rate of erosion of each point on the surface of an asteroid is proportional to the cumulative probability of collision. Generalized conclusions that are obtained from the computer running of the model indicate that both cigars and dumb-bells are possible outcomes. Sharp corners are smoothed away, the radius of curvature of rounded surfaces increases to the point of going from convexity to concavity, and flat surfaces develop into gentle concavities. Collisions of an asteroid with an object of sufficient size such that the impact causes the breakage of the asteroid or the formation of a large crater, are not discussed in this paper. Previous work, however, suggests that the crater will undergo geomorphological changes of different geometry than a similar crater on the Moon.